I was recently at a thrift store donating some things that my husband and I no longer needed. Of course, after my donations I had to do a little shopping. That's my motto: Get rid of some junk wonderful items and replace them with more junk wonderful items. I really wasn't expecting to find anything amongst all of the 1970s avocado green crockpots and the eight-track tape decks. I've been needing a bowling ball all of these years, and now I had the chance to own one. The best part: Priced at $5.99 for both the bag and the ball, the store was having a 30% off sale. So I bought it all for only $4.19. Wowza! 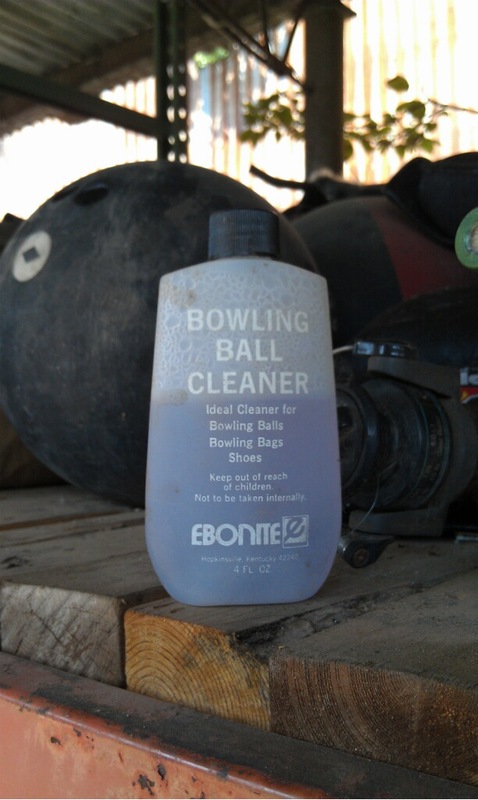 Who knew that there's a cleaner made specifically for bowling bags and balls? It just keeps getting better! 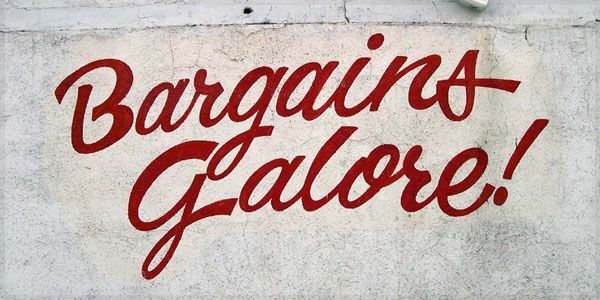 I saw one like this just recently in a magazine and loved it- what a wonderful find (and deal)!! Great find!..and it looks like it's in really good shape, too. How 'bout that "color coordinated" bowling ball? Now all you need is a pair of tartan bowling shoes and you're all set. 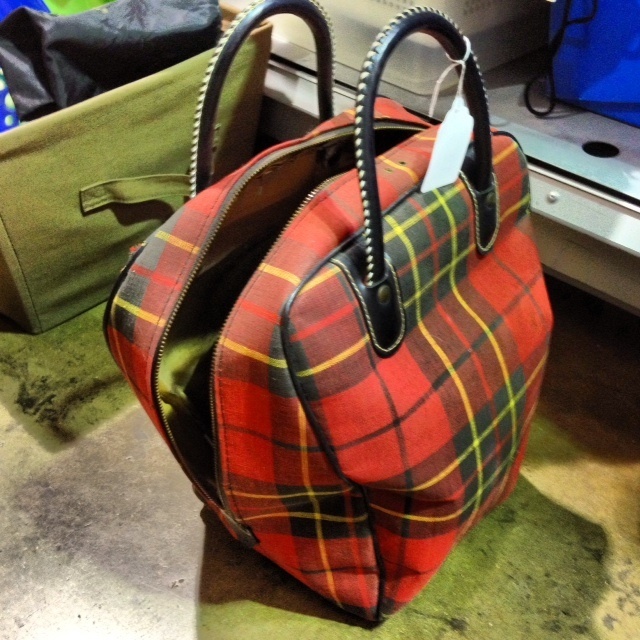 Such a great tartan find!!! !